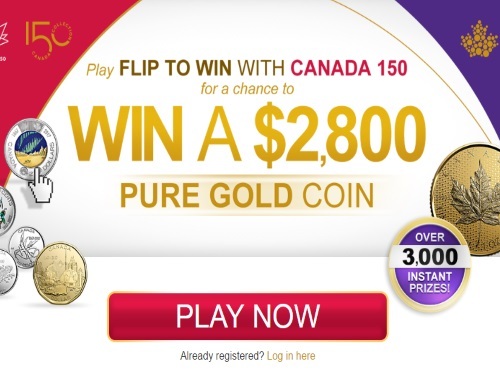 Play flip to win with Canada 150 for a chance to win a $2800 pure gold coin! There are also over 3000 instant prizes! Contest closes December 31 2017.